Brazil is indeed in a state of flux regarding its positioning in the German foreign culture map. At a time where the white spaces on the world map are beginning to disappear all together Brazil is one of the few ’uncharted areas’ with positively connoted expectations. Unlike Dubai or the emerging eastern European markets Brazil stands increasingly, from a German perspective, for a politically sound society with strong cultural roots – a positive example for democratic emerging markets. In terms of Residual, Dominant and Emergent codes the main phases of Residual and Dominant are post-World War 2 to the early 80s and 80s to today, respectively. A typical 2nd World country where modernisation is hampered by corruption and lack of democratic spirit/social equality. Left and right wing governing attempts culminating in military rule. All highly repressive, against not for the people. Inhumane poverty on a grand scale and immense crime. In short: the worst of both the capitalist and socialist systems. The cultural counterpart reflected in German popular imagery ist he local Brazilian lifestyle (sun, beach, bodies) and the best football team in the world which draws its abilities from the most impoverished part of the population. The Ipanema view of Brazil seems almost unreal, a projection, possibly a remnant of a further past given the socio-political realities. It is much like Havana in the 50s & early 60s – a glamorous image that skews the social reality. Compounded by Brazil’s geography from a German perspective: South America – the home of many Nazis (in particular Chile). The preponderance of German names in the region has an odd resonance in Germany. Many DDR politicians reported to have taken the same route after 1989 and the still unclaimed money of the former SED party is rumoured to be in South American banks. In the late 70s Brazil became a major business partner to German industry and with the change of government in 1985 Brazil took a decisive step towards improvement: the hope inherent in any new democracy. But still a democracy tainted by corruption and imagery suggesting poverty reminiscent of the middle ages: the favelas. Brazil in the 80s and 90s echoed Spain in German media respresentations and popular consciousness. A poor country perfect to visit for summer vacation with its cultural icon Ipanema (Spain: Costa del Sol) but regarded as backward, corrupt and dangerous. Certainly not a place to settle or from which to expect modern developments. Association: Brazil either wins the world Cup decisively or gets eliminated early – something unpredictable & unstable in this country (antithesis of the German self-image as thorough, reliable and possibly a little boring). No significant presence of Brazilians or Brazilian culture in Germany. Therefore no way for Germans to form a picture seperate from books, media, set themes and conventions of Brazilianness in German received wisdom and popular culture. So Brazilian culture is far removed from German mindset & self-image – singing & dancing prominently associated ith Brazil connotes holiday, the exotic, something remote from the everyday (Brazil as culturally ’other’ for Germans as Africa or Hawaii. Paolo Coehlo opening a window on a different aspect of Brazilian culture – from 1990s opening people’s eyes to deeper intellectual and emotional potential in Brazil. Another more recent development in the Dominant codes is awareness of beauty industry & importance of cosmetic surgery. Sao Paolo as a magnet for would-be models – with Brazilian surgeons reportedly practicing with girls from the favelas turning them into beauty queens. Brazilian surgeons ’enhancing nature’ versus perception of US cosmetic surgery as imperfectly concealing ist artifice (or not at all). Emergent Brazilianness in Germany is as yet unrealised. This is potentially rich terrain to receive new positive imagery associated with Brazil. But what’s in place, as yet, is mainly the potential rather than any detailed implementation. Potential based on Brazil as the most dynamic of the BRIC economies. Further powered by the massive projected oil reserves on Brazil’s coasts (exceeded only by those of Venezuela). The prospect of massive injections of income, e.g. to fund social reforms, once deeper drilling is technically possible. • Sao Paulo is a key player in the world’s most aspirational industry: beauty. Brazil has a potent mixture of associations that can propel it to a new level that many other emerging countries lack – at its core is the perception that Brazil is NOT hampered by the lack of free expression and decentralised power that remains, in Western developed markets a cause for concern and caution in, for example, Russia, China and the Arab World. Part of Semionaut's wiki experiment to identify emergent cross-cultural codes of Brazilianness, these notes follow the format in the project briefing. The aim of these (and any other national inputs to follow) is not to be exhaustive or even provoke debate but to start the ball rolling and stimulate further observations and insights, particularly in the Emergent area. Please add your builds below or send your own post for the Brazil mash-up to editorial@semionaut.net . From a UK perspective the potential trajectory towards the ‘Brazilian Dream’ (see our briefing) is based on a deep underlying affinity for Brazilian-ness – delight in a perceived spontaneous & light-hearted grace, sensuality and creative accomplishment . Ways ahead will maintain and develop on these historically rooted positives. Brazil & South American countries as off the map, haven for war criminals (Boys from Brazil novel and film); adventure, the extreme, a European not on the run goes here at his peril. Werner Herzog’s film Ftizcarraldo (1982). The Amazon – vast challenging nature. Then becoming idealized pastoral – authentic primitive culture and nature; pop star Sting posing with Amazon tribal chief. Football the most prominent Brazilian theme (alongside the Rio carnival) for Brits. In the Residual Brazilians represented flair and silky samba skills (versus the punishing machine-like efficiency of the Germans). Good-natured poor boys learning their football barefoot on the beach and still known in adulthood and as celebrities by their nicknames. Flair and attack rather than organization and defence. Football in the Dominant now more organized, not only associated with attacking flair. Brazil less clearly the greatest footballing nation. UK Premier League Brazilians not the best or most expensive players – Robinho didn’t deliver on his promise. Perceived vibrancy, sexiness and preoccupation with the body – many stories around popularity of cosmetic surgery in Brazil. ‘Having a Brazilian’ = waxing to remove hair from pubic region. Emerging powerful BRIC economy. (THE most vibrant and dynamic is more recent and still has some Emergent edge). Lula initially heralding swing to the left since echoed elsewhere in South America. Context of callapse of post-Thatcher economic and political agendas in UK leaving a vacuum in ideology and political philosophy. New alternatives to evolve in Latin America as in East Asia? Ongoing thread of Carnival culture, joy. Enviable Brazilian ability to let go, be happy, enjoy life. Brazilian embodied knowledge, combined with physical grace and a hint of spirituality – Capoeira. Also connoting rich cultural diversity, synergies. More widespread exposure for more Brits to Brazilians living in UK. Effectively part of the new immigrant or transient working class (with other Latin Americans, East Europeans, people from the Middle East). Nothing challenges the stereotypes more than meeting real Brazilians (the cleaner who’s better educated than you are, the thoroughness and work ethic that sits beside a relaxed attitude towards life – an unfamiliar combination for North Europeans). 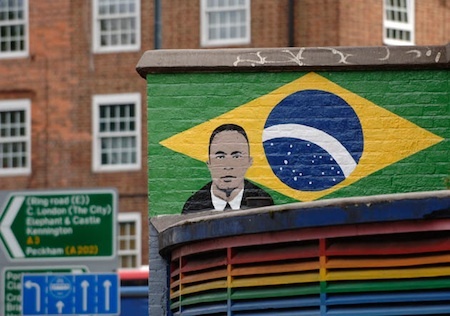 Our picture is of tribute artwork to Brazilian plumber Jean Charles Menezes, shot seven times in the head by London Metropolitan police on 22nd July 2005 under the misapprehension that he was a Muslim terrorist. Brazil as the economic star currently of the BRICs and on a morale and cultural upsurge with World Cup and Olympics coming. Important context here is that Brazil is perceived to be deserving of both these awards. Especially in the comparative context – UK media orthodoxy on the 2018 World Cup is that England deserved it but Russia got it. Qatar getting the 2022 World Cup perceived as an outrageous (FIFA corruption) cultural anomaly. So Brazil’s success is in some way the last gasp of normality. UK cultural is configured to like Brazilians – it’s difficult at a discursive level in UK to NOT like Brazilians. Quite patronizing in some ways (viewing Brazilians as child-like e.g. Ronaldo, Ronaldinho, Brazilian pronunciation of ‘Brazil’ with final consonant like an English ‘w’ could have a charming child-like ring for an English ear. • a Brazil-specific manifestation of something which has the groundedness and versatility of hip-hop but is clearly local, coming from another place – not imitating U.S.
• a positive ethic of social responsibility and community which is non-PC, active, progressive and enlists widespread popular support (reconciling the opposition between a discredited hands-off market fundamentalism on one the hand and ongoing concerns about, say, the Chinese model of centralized state power and responsibility on the other). Future opportunities will be about building from the positive base noted above in the introduction. In terms of economic, environmental, social and intellectual vision – expressed not so much in abstract as in in concrete forms (e.g. cultural platforms as potentially rich, cross-media and transforming as something like hip-hop) or new forms of governance and organization, e.g. at the level of cities, that engage innovatively with environmental degradation and social inequality. And help restore some joy and optimism to the poor, put-upon non-elite majority of Brits. With many thanks to Gareth Lewis and Chris Arning. Ours is a culture in crisis where we’re struggling to figure out what it means to be human. We are deeply fixated in the virtual world and enviously in chase of the latest technology. At the same time we are experiencing an anxiety over the liquidation of self in a fluid, constantly innovating world. Once we have logged and given away our noteworthy moments on Facebook and Twitter, we cease to retain them as a testament to our own heritage. As we prove our progress we appear just as much in need of a way to define ourselves in reverse— away from the oppressive filtration of ourselves into digitized experiences that can be uploaded and streamed instantly across time and space. The proof of this conflict has been confirmed by the popularization of two opposing types of codes. On the one hand, there are those symbols that demonstrate our ideals about advancement into the promising future. Tech logos, for example, are as slippery and fluid in line quality and shape as our transient, efficient lives — void of details or adornments which might refer specifically to time period or place. As reassuring as they are of our relevance, we are equally comforted by signifiers of uninhibited, amateurish self-expression. They are awkwardly analog, irregular and imperfect in line quality and shape. The two stills from Microsoft's TV spots "People Ready" illustrate this well. This humble, bumbling style has emerged in an effort to monumentalize our real selves …free to live outside, mainstream expectations and the compulsion to move ahead feverishly. Interestingly, these signifers frequently appear in advertisement for these same tech companies. Perhaps that have become the latest and most important trust marks of authenticity and heritage—the company’s silent promise that our humanity will not be lost in the adoption of the innovative product they’re offering. New Year 2010 when we celebrated the arrival of Semionaut, in Cairo and Boston, was the night of a blue moon. 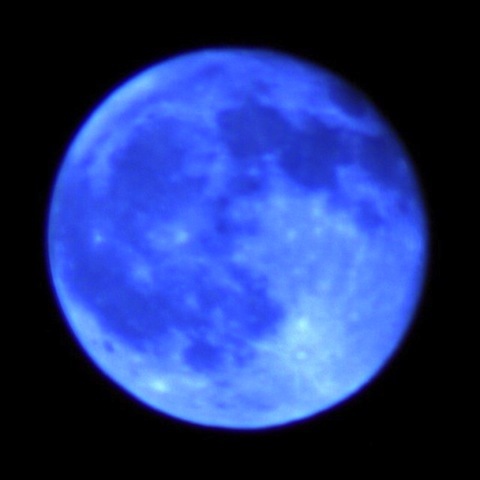 A blue moon, the second full moon in a calendar month, is propitious in Egypt where everybody knows about it, and throughout the world even if you’re unaware it’s blue moon or are a conscious unbeliever. Like astrology, you’re not sure you believe in it but people say it works anyway. Hitler believed in astrology. He was also an amphetamine freak, a non-smoker and a vegetarian. So watch out. And good luck. There was luck in abundance when the blue moon hung over the Nile. Between us (founders Josh Glenn and Malcolm Evans) we brought Semionaut to here. Malex Salamanques joined us briefly suggesting a name change to Semionaut then left to enjoy full-time motherhood. ‘Semionaut’ Malex saw in some lorum ipsum filler text for another website in preparation. It chimed with the name of one of Josh’s earlier projects, Hermenaut. I saw it in print, used by Nicolas Bourriaud in The Radicant – semionauts as people who invent trajectories between signs, setting “forms in motion, using them to generate journeys by which they elaborate themselves as subjects”, “translating ideas, transcoding images, transplanting behaviours, exchanging rather than imposing.” More specifically the semionaut mindset, in Bourriaud’s terms, is manifest in activities such as conceptual art, cultural recycling and upcycling, sampling, co-creation, hacking, dj-ing, any form of cultural work that closes the gap between consumption and production. Let us say that semionauts engage with the world of signs, codes, media, culture, theory, the creative industries and disciplines – in ways at once involved and detached. The detachment of the anthropologist from another planet or participant-observer aware at all times of the semiotic monkey sitting on her shoulder (invisible to others) streaming commentary literal and metaphorical, pertinent and impertinent. Detached yes but also wholehearted, synaesthesic, libidinal, obsessive (don’t say ‘passionate’ now an empty corporate cliché denoting absence of thought or feeling), in terms of immersion in cultures, communications, how we decode them, recode them, and try to optimize how they work for the benefit and interest of a select few, many, or people everywhere. Our core group of writers so far work mainly in the practical application of semiotics and cultural theory to further understanding of cultures, communications, trends from mega to micro and the ever evolving world of brands. Our aim was to be global. In the first year we featured contributions from 20 countries, 5 continents. Heartfelt thanks to you all. A year ago this existed only virtually in the imaginations of two people. The actual Semionaut has been created by its network of amazing contributors. • Moving towards more collaborative and eventually cross-cultural group work – see the recent comparison of beauty codes in India and UK by Hamsini Shivakumar and Louise Jolly. • Evolving more of a news and features feel around areas our readers and contributors are involved in – specifically supplying commercially applied semiotic and cultural analysis (for brands, political parties, NGOs and activist groups, architectural practices, regulators etc. ); commissioning this type of work as a client; teaching, academically researching or studying these subjects; using the kind of perspectives we engage with (“Signifying Everything”) to create or innovate in whatever way. • Finding out more about friends of friends, word of mouth, people who happen upon Semionaut. Who are you? What are you doing? Tell us, write something for us. Welcoming the type of article we published last year (old and new friends, please keep them coming!) we’re also looking early 2011 for reflection streams, starting with regular Semionaut writers, on the business of applied semiotics and cultural analysis. Bringing to the surface a core of interests more implicit up to now. And for this making it more spontaneous, personal, raw. We’ll send specific questions out to some old and new friends and ask for answers not too considered. Experience in innovation tells us the best, most original ideas emerge from a group when people are asked first to frame issues personally and not think about it too much. “How can I know what I think till I see what I say”. E.M. Forster wrote that (I thought it was Alice till I searched it). Context: first night in a new apartment with a beautiful view of the sea and a sense of arrival; a laptop lost while moving in, along with the draft of this piece, returned today by a friendly taxi driver. Big picture headline: students in Tunisia just got rid of at least one expression of a corrupt political establishment; this summer England. Love marks: Josh Glenn. Awesome. Really famous by the end of 2011 – put money on it. And RIP Don Van Vliet/Captain Beefheart, who was the Josh Glenn of the hippy days: “Beam in on me baby and we’ll beam together/You know we’ve always been together/ But there’s more…”. Sound track: If you don't know the tune you must hear it. And Google the lyric in honour of the students. “We Can Be Together” by Jefferson Airplane. In Bulgaria the financial crisis has reduced the amount of advertising and encouraged an increasing focus on price and savings. However there are still strong signs of creativity in this local market, a good example being the campaign run by Baumaxx – one of the biggest retail chains in Central and Eastern Europe, which specializes in materials for construction, home repair and supplies. Like the better known brand Ikea, Baumaxx focuses its communication on the idea ‘do it with your hands’ – but does so deploying a distinctive mix of low price messaging, a promise of shopping comfort and convenience and making it clear that the offer extends beyond furniture to a wide range of domestic goods. In Central Europe the TV spots use Frank Sinatra’s ‘My Way’ playing behind an appropriate domestic narrative. 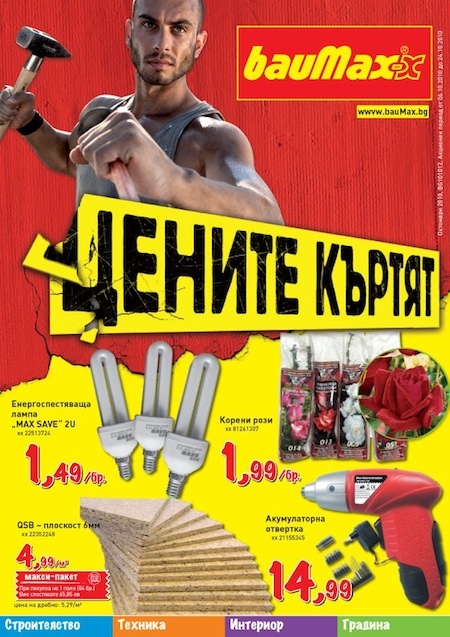 In Bulgaria Baumaxx also uses distinctive local language and humour in its advertising. After the summer season 2010 there was a little more time and probably some money for households to spend on renovating their homes. Baumaxx caught that wave and used it aggressively in order to respond to the increasing demand in the repair and maintenance sector in the months before winter – and to cut through the messaging clutter as there are a lot of players in this marketplace. An integrated marketing campaign deployed booklets, 7-second TV spots, radio spots, a massive billboard presence and the launch of a Baumaxx a group on Facebook. In the Bulgarian market the new and highly creative Baumaxx print and TV campaigns featured two young characters, one male one female, and a dynamic (even aggressive) hip-hop flavoured tonality. Such communication codes have been extremely popular in local advertising for fashion brands, telecoms and some food and snacks products – but were unknown till now in the big retail chain category. By way of illustration, Baumaxx advertising uses colloquial everyday phrases prominently in radio spots and as headlines in the print ads and billboards. In the print ad shown here Baumaxx points out different products which may be purchased as a good bargain, each one representing a different department of the store. The original elements in the ads are not the prices themselves but the presentation of home repair as a fun, energetic process which fits young people’s taste. Till now home repair was associated with older, family people. The whole message positions what used to be regarded as tiresome maintenance of the home as something easy and, with the support of Baumaxx, very much in the consumer’s control. Among other wordplays here deploying street metaphors, phrases taken from actual everyday language include “The prices break off” (Цените къртят), which also connotes something being ‘cool’ (Кърти мивки), and “Prices are concrete”/“Prices are iron”, i.e. the prices are low and solid and this is for sure [Нещата са бетон, железни са]. What we see here is youth codes beginning to mature and cross into categories that target an older life stage as the consumer target groups accustomed to more nuanced and culturally attuned styles of brand communication themselves grow a little older. In the case of Baumaxx a direct down-to-earthness which is part of the ‘cool’ cultural appeal of hip-hop, interpreted here through colloquial ‘street’ Bulgarian idiomatic language, skillfully combines creative appeal with a clear and hard-hitting message on value. The general principle is that at times of relative economic constraint there are ways of talking about price and value in a stylish, culturally connected, even quite edgy tone of voice – rather than having to go with just a crude, functional, stripped-down price message. These are typical images about war or revolution and victory. With the drama and the symbolism of the flag they show a mighty determination to win even if the cost is death. On the left Joe Rosenthal’s photograph of American soldiers raising the flag on Iwo Jima (February 1945) and on the right Delacroix’s Liberty Leading the People. Less familiar to most of us is the middle image – which is in fact an advertisement for a private education company offering extracurricular lessons for primary and high school students after their normal classes. In this dramatic Korean ad, the bold and dynamic handwriting says 'Let’s go ahead a grade' – that is to say fight, win, move ahead with a higher mark. Private education provision always implies social hierarchy and a competitive arena in which the stakes are high. If public education aims to provide a level playing field, the private provision tilts it and sets the odds in favour of the child and the parents who give an extra push in terms of time and resource. Our featured image for this article (on the Semionaut home page) shows scenes from a Korean university advertisement. On the left, the lady proudly states “my child is studying at the university”. On the right she questions the professor about how good the university is. So this is not just about individual students but about families, not just personal striving but a kind of team battle. “If you sleep 5 hours you will fail to enter a university, but if you sleep 4 hours, you can enter a university” is a common adage given as advice to high school students in Korea. The education system has had a strong market dimension to it in Korea since the early days of modernization in the 1970s with the New Community Movement. Investment of time and money can lead to good results which, in turn, can get the student into a good school. Images of hard work, cut-throat competition and exhausted students are already familiar from a country like Japan but the promotional rhetoric at least seems to have escalated even further in Korea. So far we have seen one example of the family as the student’s greatest ally and another in which educational success is metaphorically linked to military triumph. This latter association is, in fact, now an expression of an increasingly familiar code. Here are two others ads for Korean universities in which the iconography of the flag against the sky depicts the triumph of the student/warrior over all opposition, while a third (right) states “Sharp intelligence conquers the world, with the sword of this university”. With the shelling of Yeonpyeong island by North Korean forces in November 2010 the world was reminded of a military context which has been part of Krean consciousness, language and popular culture for over half a century. Wr and fighting metaphors have had positive connotations since the end of the Korean War in 1953 and through subsequent periods of national regeneration and economic growth. In Korea, when people want to say something like 'Let's do it together' or even 'Cheer up', they say “Fighting!” Related to this “If you feel you cannot do it you have to force yourself to do it!” is a common attitude. The language of war and military conflict is commonplace in international business discourse with its metaphors of ‘strategy’, ‘outflanking the opposition’, the ‘coup’ and so forth. What’s distinctive about this area of Korean culture and communication is the explicitness of such warlike imagery – and its insistent presence in an arena which is so central and so critical in young people’s preparation for adult life. You are currently browsing the Semionaut blog archives for January, 2011.